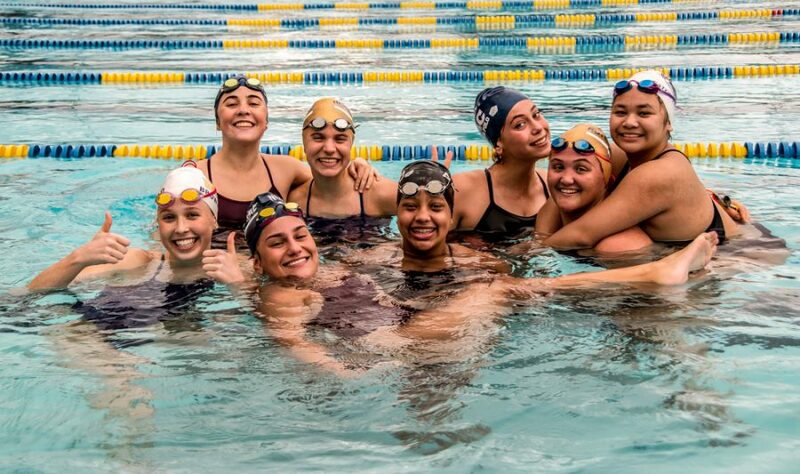 The 2019 season has already kicked off (the wall) to great start for the 13 varsity and 8 junior varsity swimmers at the Sacred Heart Prep meet earlier this month on March 2. Senior Riley Brownfield won the 200 freestyle and the 500 freestyle, breaking school records and qualifying for CCS in both of those events. Sophomore Maya Hart won the 200 individual medley and NDB placed second in the 400 freestyle varsity relay. At the Jamboree meet on March 14, the 400×1 relay team consisting of Brownfield, Hart, junior McKaela Glanville, and freshman Ryan Edwards qualified for CCS by over four seconds. Glanville qualified in the 100m breaststroke and 500m freestyle. The swim team has been working so hard already, especially with its new practice schedule. In past years, the team practiced at NDB for three days and then for two days at Serra HS in the late evening. The new schedule is four days at Serra HS with an integrated practice with their team and then Friday mornings at NDB.